How do you make a good top better? 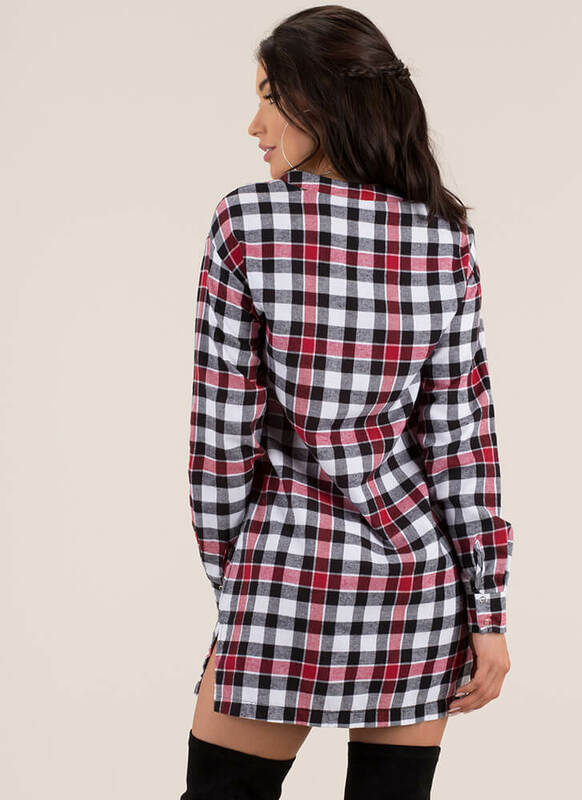 Turn it plaid! 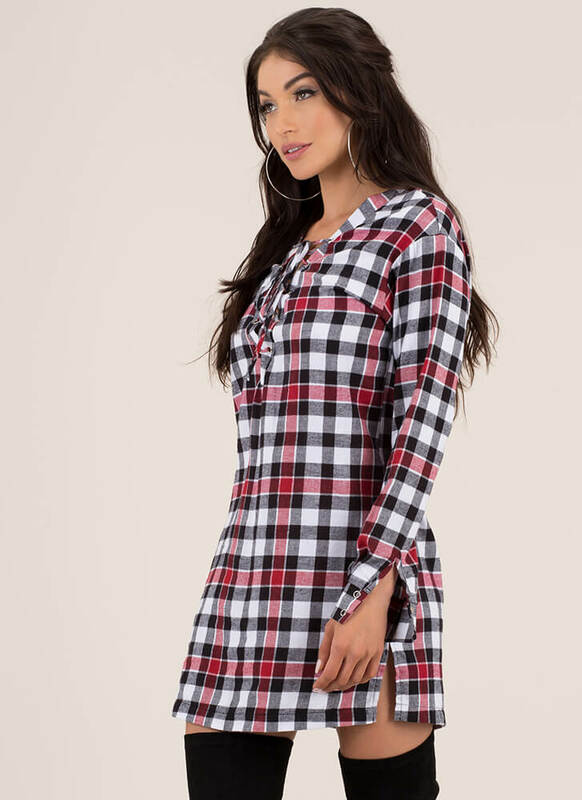 Lightweight, non-stretchy, long-sleeved shirt dress features a plaid flannel material with a gingham-like checkered print, as well as a deep-V neckline with punched grommets and extra long strings for an adjustable lace-up look. Dress is finished with short side slits and double snap buttons on the wrists. Pattern placement may vary.